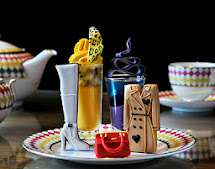 Fresh off the runway, Palazzo Versace’s New Season Fashionista High Tea will be incorporating the trends, colours and designs inspired by the latest House of Versace couture collection. The range features bright colours, bold textures, brave prints and unabashed hemlines. Think fashion, think fierce, think fabulous. Guests can enjoy brightly glazed éclairs and home-made macarons, eclectic flavoured pots de crème, layered fruit salad with white chocolate mousse, bakewell tarts, colourful cake pop and freshly baked scones with double whipped cream. The savoury selection includes toasted bread crisps with roasted dip, petit quiche and a variety of sandwiches including curried egg, Tandoori chicken and Salmon. Includes fizzy lemonade spiders, chocolate frog in a pond and cake pops lavishly coated with hundreds and thousands. Each child will also receive a complimentary colouring book and crayons. 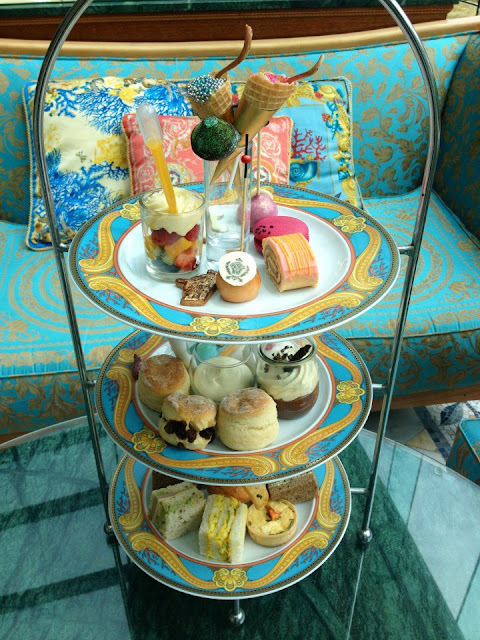 Palazzo Versace Fashionista High Tea is held daily in Le Jardin lobby bar from 11am until 5pm. Reservations are not required unless there are over 6 guests. Group bookings required for more than six guests. A table will be reserved in Il Barocco Restaurant from 12.00pm until 4pm. Wow! I want to dig through and come up here... love the look - so Versace!